Get thee to the T-Moblery. 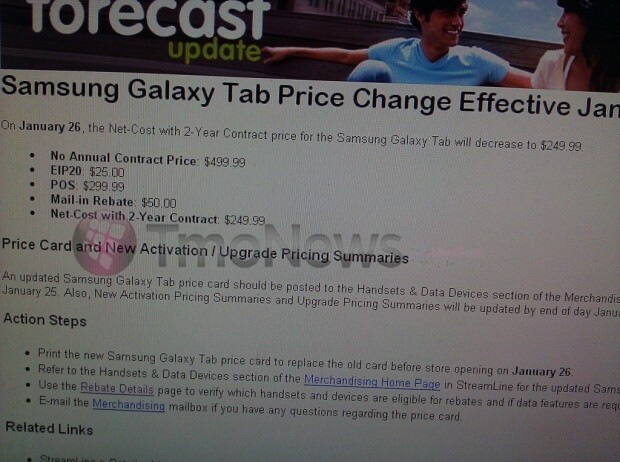 The Samsung Galaxy Tab now costs $249 after a $50 rebate. Rumors of this price drop came yesterday but the tablet is available now online and in stores. Considering this is my favorite Android tablet, it’s worth a second look if you’re in the market.